I had almost forgot to tell about this but after talking about wanting to go quite extensively to Madrid I’ve finally booked a flight to go there in March 2008 due to the latest online booking promotions. The airport is of easy access by the main roads from Madrid that is 14 KM/9 Miles away from downtown Madrid and the M-30 road. Arriving from A-2 or via the N-II ( the Highway in direction to and from Barcelona). The exit of the airport is 14 km or 9 miles away. You can Easily find your terminal as you approach by looking at the colored signs : Terminal 1 is orange, Terminal 2 Green & Terminal 3 red. 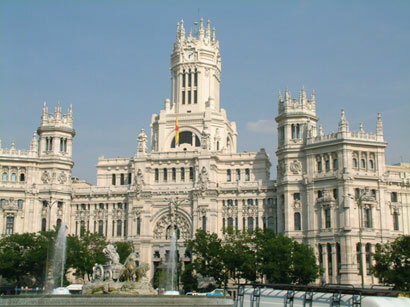 The ride will take you from the center of Madrid about 30 mins this of course depending on the time of day. 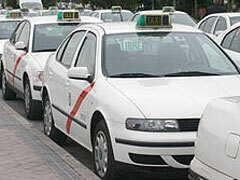 Load of taxis are available either from the the Barajas airport or Madrid itself . 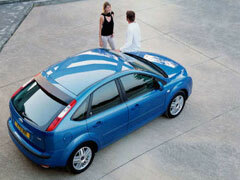 The ride from the airport to the city will take about 30 mins depending on the time of day and traffic. By taking the subway rail from Madrid you can reach the airport. Bear in mind this means you will have to make a transfer on the way from downtown Madrid. When downtown chose line 4 direction MarDelCristal. Once you’ve arrived in MarDelCristal take line 8 that will take you directly to the airport . Subway runs non-stop every day from 06:00 am to 2 am. 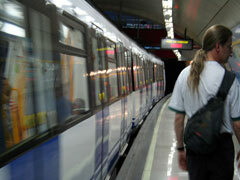 If you are arriving from the airport the subway rail can be reached at Terminal 2.
travel time : more or less 40 minutes. There is also a bus shuttle departing from the Plaza de Colon bus terminal that runs from 5 AM until 1:30 AM. Starting 23:30 it runs every 30 minutes. Whats always important to check when traveling with low cost airlines is how far the airport actually is from the city you want to reach. In some cases you can be as far as a two hours bus drive away! Thanks once again to Ryanair.com for those unbeatable price!